The multi-award-winning artist’s real name isNkosinathi Maphumulo. He was born in South Africa’s house music province, KwaZulu-Natal (KZN) and raised in the Eastern Cape province, where Nelson Mandela hailed from, before moving back to KZN to study music. Tinashe was a child model by the age of three. The twenty-four-year-old sang before she could talk and made her first appearance in 2000 in the film Cora Unashamed. Her voice also starred in the cartoon feature film The Polar Express alongside Oscar-winning actor,Tom Hanks. By the age of 10, Jidenna Theodore Mobissonknew he wanted to do music but was afraid to tell his father who wanted him to be an engineer. 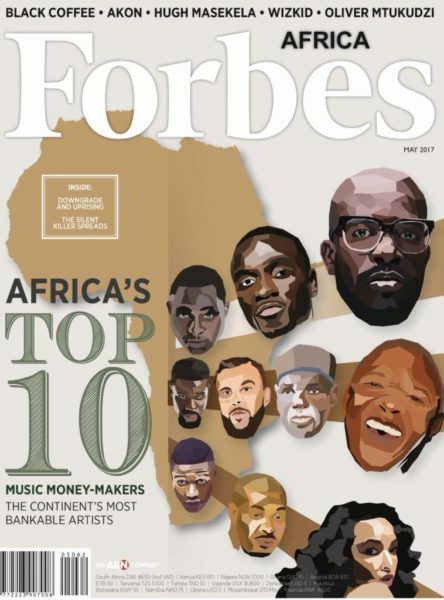 He is ranked sixth according to Forbes Africa. Davido has claimed a high status in just five years. He said it was people like P-Square andD’Banj who made him believe this was possible. He became famous for his widely acclaimed 2012 debut album “Omo Baba Olowo”.